Sell your MOTHER-UNIT items on eBay ! 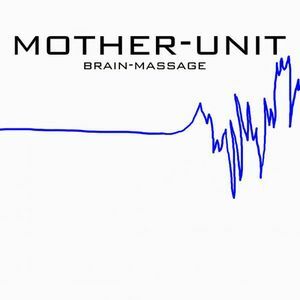 MOTHER-UNIT are a new project of 35007 co-founder Bertus Fridael (guitar). Superficially speaking in the vein of his predecessor band because they offer hypnotic heavy psych prog as usual. Four songs are included here, trimmed to make a vinyl production possible. Now coming to the album's uniqueness Fridael's keyboard and sample contributions are well put here, just take the dramatic From the Source-Into the Mind which is even provided with a symphonic touch in my opinion. Birth-Fate-Death starts with an intriguing spacey intro based on string arrangements plus oscillating keyboard additions, sounding like a modified Rhodes piano. This opens the door for a repetive hypnotic rocking course furthermore. The following title track can be treated as the most reminiscent moment concerning the old days I would say. Provided with a straightforward drumming the track comprises heavy psych, stoner as well as space rock ingredients. Underlaid with quirky electronics the wonderful relaxed Fingerprint-Chemistry proves Fridael's stylistical and technical variety. A blues inspired groovy jam basically, the rhythm team consisting of Shirley Holinsky (bass) and Hans van de Perre (drums) does a great job too. So all in 'Brain-Massage' is a fine album really, in some way presented in the vein of 35007 but surely provided with some progression when it comes to the stylistical approach - 3.5 stars . 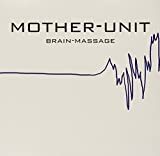 Post a review of MOTHER-UNIT "Brain-Massage"